If you are seeking a trusted local company to replace your old windows or blown double glazing units call Camberley Glass and Windows. We will arrange a short friendly visit to your property to measure up and follow this with a competitive quote. There are no gimmicks or hidden extras. We have been working in Eversley and the surrounding area for almost 50 years, and are recognised as a market leader in our industry. Having been established as a family run group of companies we have retained the traditional values of customer care, attention to detail and a professional approach to our work. Our customers really matter to us which is why we get repeat work and personal recommendation. You can see some of our customers’ comments on our testimonial page and read our high ratings on the Checkatrade website where we score highly on their criteria. We are also on the Buckinghamshire and Surrey Trading Standards Approved list of traders. Our product knowledge in the glass and glazing industry is second to none, and our team is fully qualified in all aspects of current requirements and regulations. We are also FENSA registered. 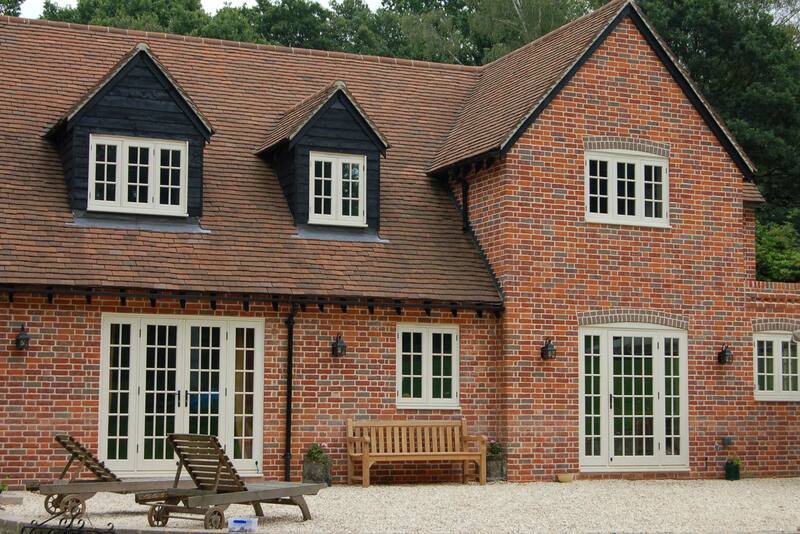 We can tackle any job, large or small; single glazed windows, double glazing or coloured glass. We can supply windows in different styles, materials, textures and finishes and can provide whatever window furniture and size of windows you need. Our windows comply to the highest standards for reliability, security and energy conservation. In addition all our double glazing and glass installations are backed by a fully insured guarantee. If you need that window replacement today please call or visit our showroom at our offices in Camberley, Surrey, where you can chat with our friendly staff, ask any questions, and get the best service possible.